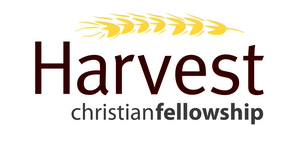 Harvest Christian Fellowship was founded by Pastor Paul Cypert in 1988 in Plainview, Texas. Pastor Paul had a dream from God of a church full of people young at heart worshipping Jesus. He started the church as a Life Group with a few families that met in the living room of his house. Today, Harvest Christian Fellowship ministers to over 2,000 people every Sunday at three campuses. Over the years they have also worked with international ministries to share the love and Word of God with people in Africa, Poland, Bulgaria and Mexico. After a rigorous software evaluation, Harvest Christian Fellowship chose Sage Intacct over other on-premises and cloud solutions as the best fit to meet the unique needs presented by its ongoing expansion. Their biggest problem was a lack of reporting, most of which was done in Excel, combining financial data with data from Fellowship One. The finance team's month-end close process was tedious and time-consuming, and they had limited visibility into specific campus allocations. Harvest Christian Fellowship was unable to get reports by location without a great deal of manual work. By subscribing to Sage Intacct, Harvest Christian Fellowship will be able to integrate data from Fellowship One into Sage Intacct to get statistical and operational metrics. Reports will be automated, eliminating time-consuming and error-prone tasks in Excel. The finance team will be able to provide reporting by class, fund, and location. "I've been through 6 technology implementations, and this was the best I've ever seen."